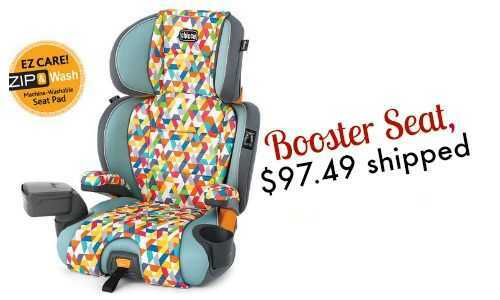 Check out this booster seat deal from Babies R Us. You can get the KidFit Zip 2-in-1 Belt Positioning Booster Car Seat for $97.49 (the price will drop once you add it to your cart)! Plus, shipping is FREE! Choose from (3) patterns: Blu, Wild, and Gem. Offer valid for a limited time. Shipping is $10.